Created by Unanico Studios for Unanico Entertainment, and in conjunction with the London Stereoscopic Company (LSC), the ‘Diableries AR App’ in its latest re-imagining is 64-bit app open source AR API supported, and integrates the native Apple Replaykit, allowing users to enhance the experience further through the AR tracker as never before. The app is available to download to all iOS devices that support Apple’s ARKit, and support iOS 11. 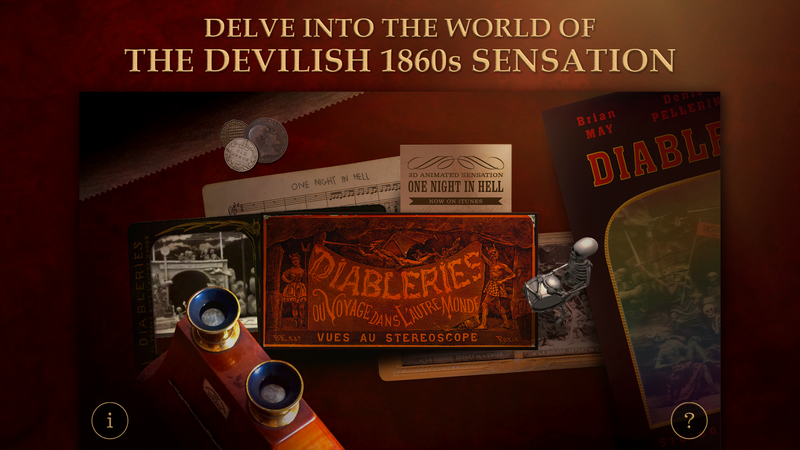 The revamped Diableries AR App is a digital interactive extension of the unique physical book ‘Diableries: Stereoscopic Adventures in Hell’ that was co-written by legendary rock musician Brian May, guitarist of Queen, with his talented colleagues at the London Stereoscopic Company. The book is a homage to the original Diableries stereo cards, a 3D stereoscopic phenomenon that started in Paris in the 1860s. The Diableries (which translates roughly as ‘Devilments’) depict an imaginary underworld, populated by devils, satyrs and skeletons. The Diableries have fascinated devotees for over 150 years, and have inspired some of the earliest film-makers, such as George Méliès, the French illusionist and film director who led many technical and narrative developments in the earliest days of cinema. 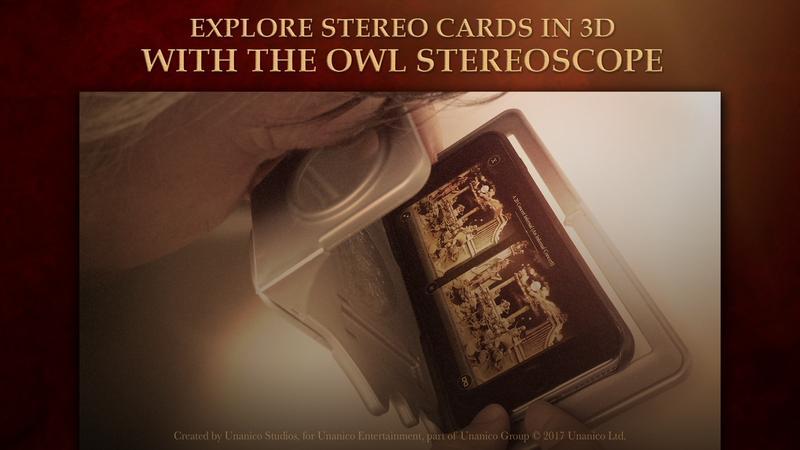 Through LSC’s fascinating stereoscopic ‘picture books’ and unique OWL stereoscopic viewer and glasses (and OWL virtual reality (VR) kit), Brian and his team aim to re-create the magic of bygone eras for digital natives. 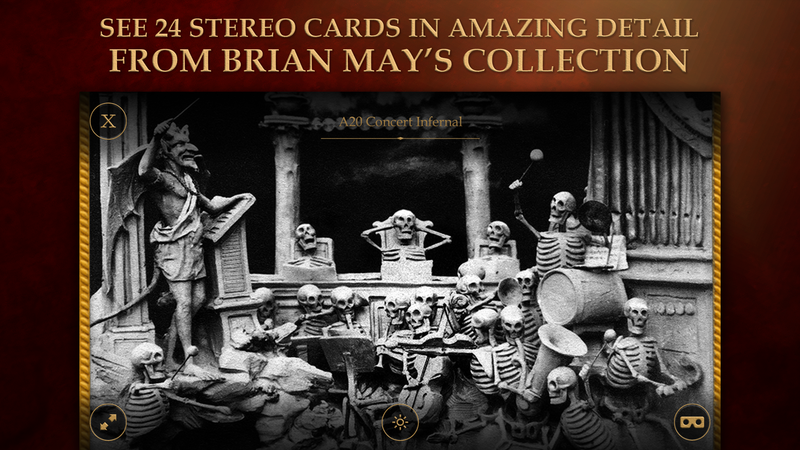 The re-imagined Diableries AR App allows users to delve into the world of the Diableries stereoscopic cards by exploring Brian May’s personal collection in amazing detail, and the augmented reality functionality allows users to interact with the devilish characters. 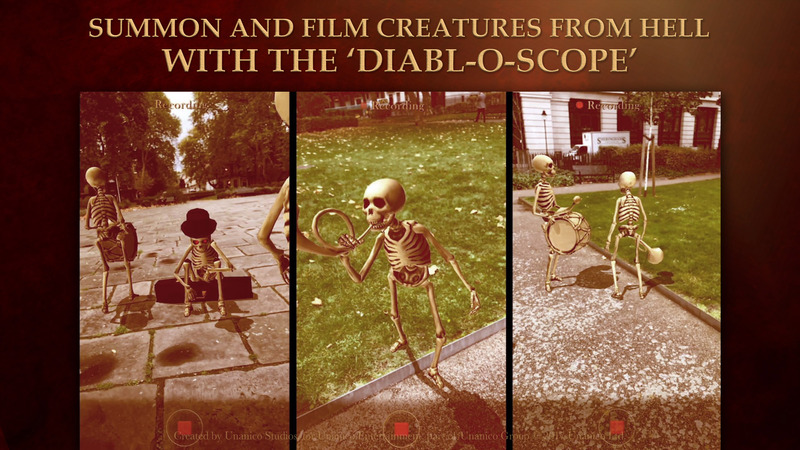 The Diableries AR app enables users to enlarge the stereo cards in amazing detail with intuitive controls, and illuminate the cards, transporting users into a ‘night’ scene, where the dark becomes enriched with colours that magically appear, and the eyes of the skeletons shine red and big in macabre fashion, and also follow users around, providing an eerie spooky element. The characters from the Diableries were first bought to life in stereoscopic 3D in the award-winning iTunes #1 Short Film ‘One Night In Hell’ that was inspired by LSC’s original ‘Diableries’ book and provided the first collaboration between Unanico Group, Brian and the LSC, and which inspired re-imagining Diableries into apps. 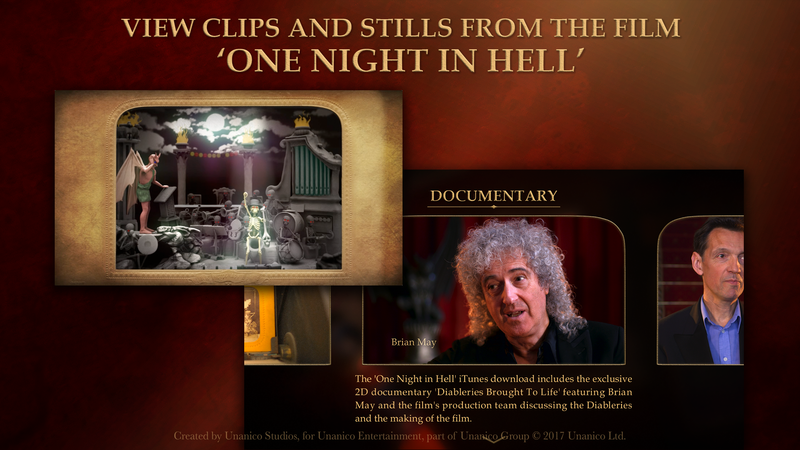 The Diableries AR App has exclusive original music arranged and produced by Brian May, featuring the Czech National Symphony Orchestra, with the soundtrack published by Universal Music Group. This reboot of the original and first-ever Diableries AR App showcases wonderful spooky features PLUS new fun and scary scenes with clearer and higher quality visuals operated by the new Apple ARKit, giving users more enhanced quality and realistic interactive enjoyment. With special visual and audio effects, the Diableries AR App’s characters react to and interact with the user’s play, with the entire experience seamlessly recorded in-app, for immediate uploading and sharing to all social channels. The Diableries AR App is priced at UK£2.99 and is available to download globally. 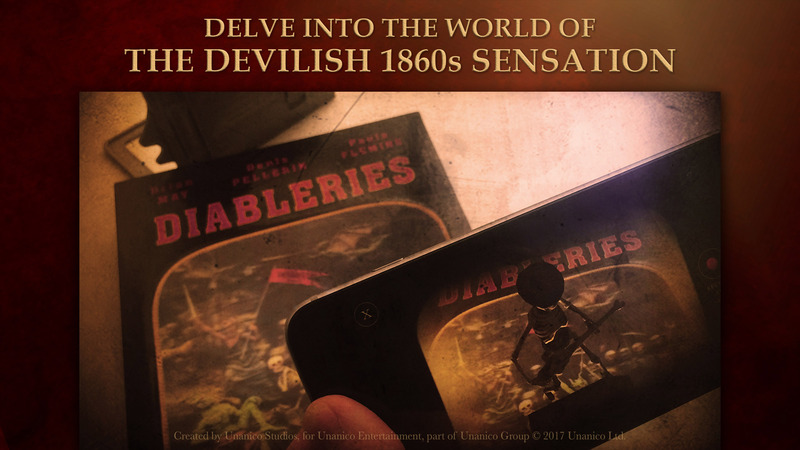 Diableries AR App, the FREE ‘Diabl-O-Scope AR App’ gives users the capability to bring the devilish characters of the Diableries to life by using the wonders of Apple’s new ARKit. Users can launch special visual and audio effects that make the characters react to their play, and users can record their virtual experiences, upload and share their videos on YouTube, Facebook, Instagram, Snapchat and Twitter. Users just need to point, click, interact, play, create and share! With the AR functionality, users see the skeletons come to life right in front of them, and through interacting with the skeletons, and other characters, can create a new story every time they use the app. With crystal-clear imagery and videos, users can watch the bony characters move, interact and react in a way never seen before! Users can launch spooky visual and audio special effects in one of three scenes: The Lost Musicians; A Guitar Solo from Hell; and the Skeleton Card Players. Users can also tap around to find hidden actions and triggers within the virtual experience to make each play chillingly unique. 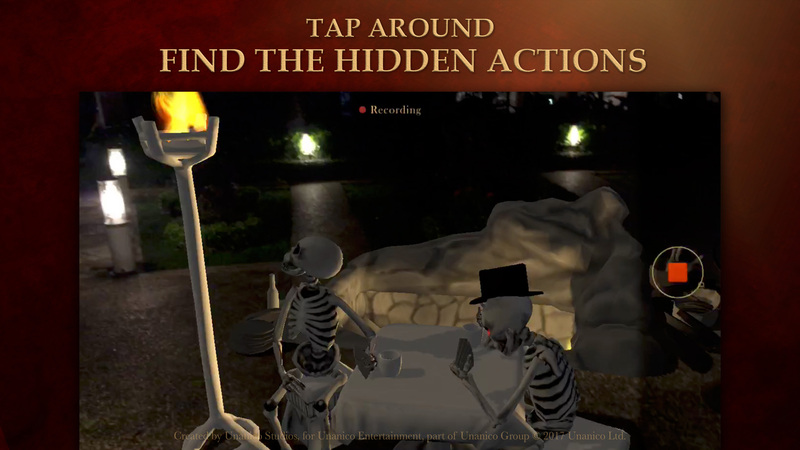 The app is a great digital tool for users to create their own spooky AR experiences, for any time of the year, and also for Halloween and Day of the Dead (‘Día de los Muertos’), giving their friends and social community the ultimate delightful scare with realistic demons playing in a rock band with a skeleton guitar, and a table of uncanny characters playing poker. 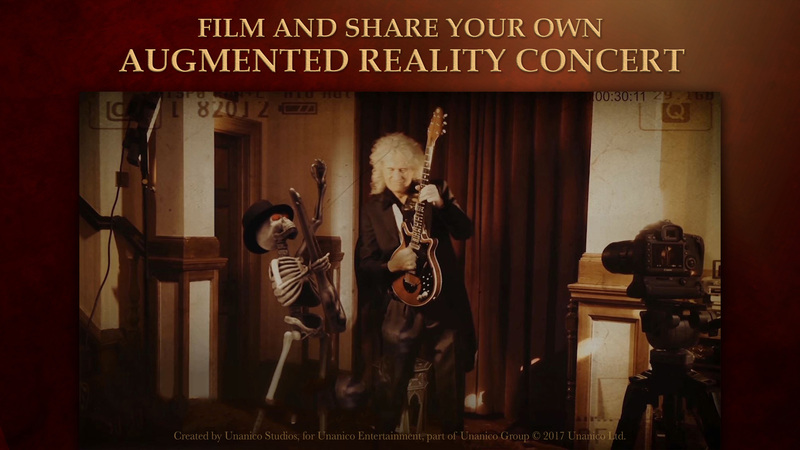 With music played by legendary rocker Brian May, the Diabl-O-Scope AR App takes the 3D horror adventure ‘Diableries’ to the next level. The Diabl-O-Scope AR App is 64-bit app supporting, and is available to download globally for free from Apple’s App Store to all iOS devices that support Apple’s ARKit, and support iOS 11.